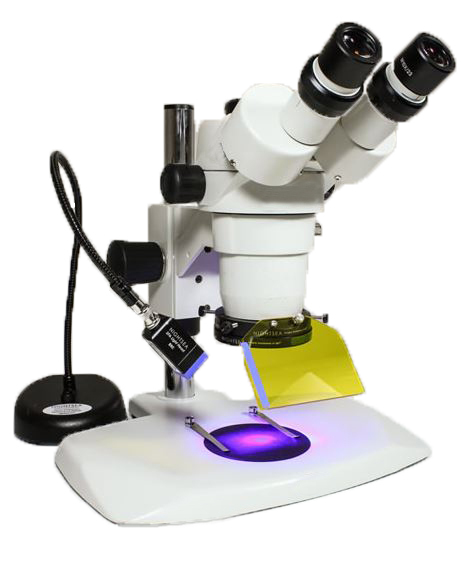 Stereomicroscope Fluorescence Adapter (SFA) – NEW! 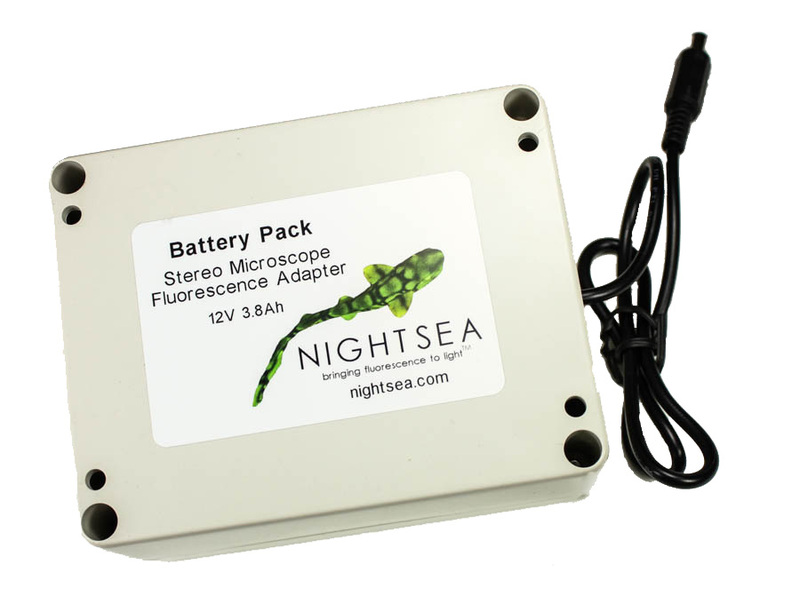 The NIGHTSEA™ Stereo Microscope Fluorescence Adapter (SFA) adapts virtually any stereomicroscope (dissecting microscope) for fluorescence with no modification to the stereomicroscope itself. 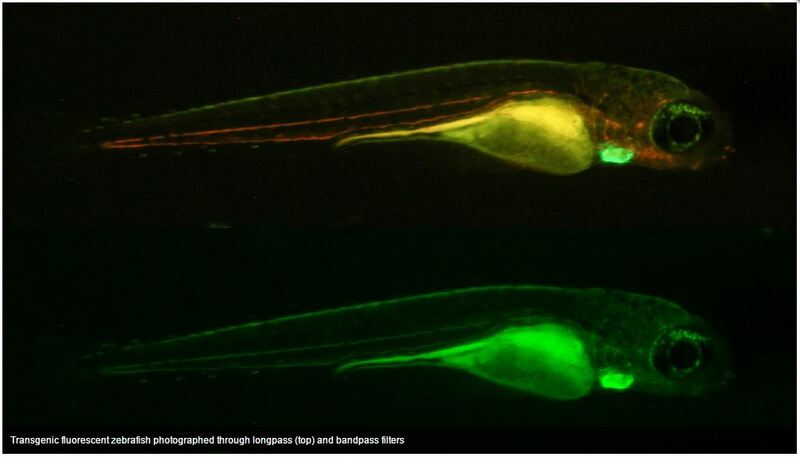 The modular design lets you easily switch between several different excitation/emission combinations to work with a variety of fluorescent proteins and other fluorophores. 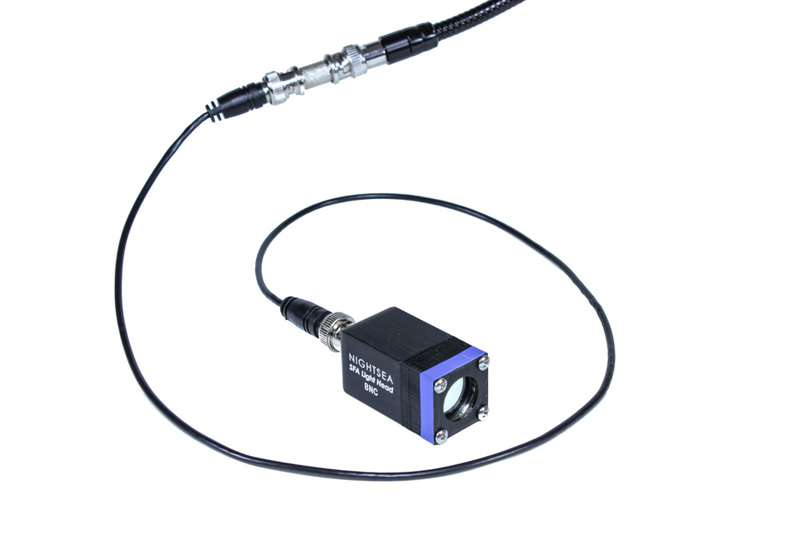 There are now five different LED excitation/emission combinations available, plus white light. 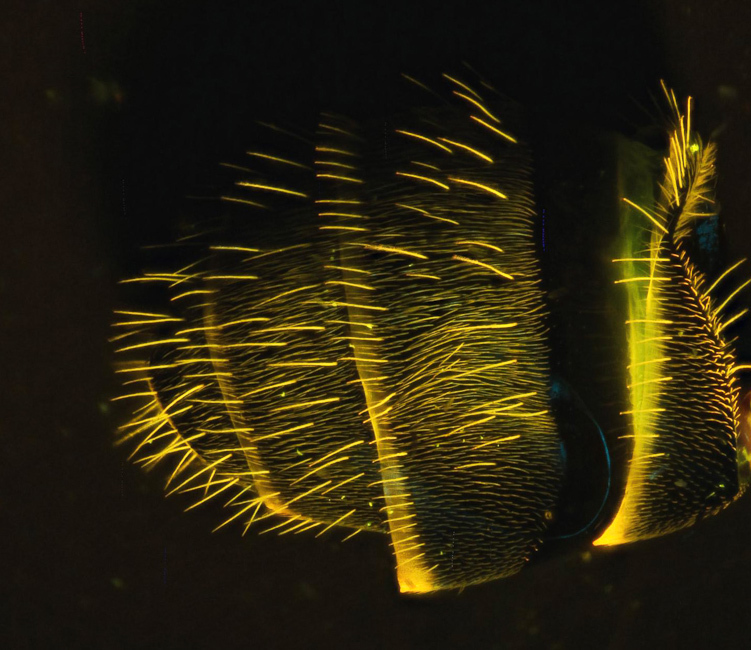 Bright, LOW cost fluorescence, for your stereomicroscope, finally! 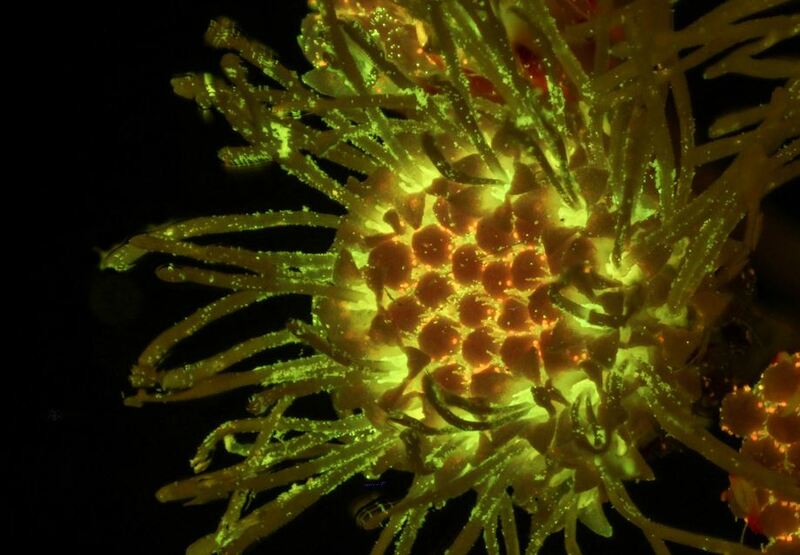 Fluorescence isn’t just for research microscopes anymore . . .
Now sort your samples on your inexpensive, laboratory grade stereomicroscopes to facilitate micro-manipulation and dissection. 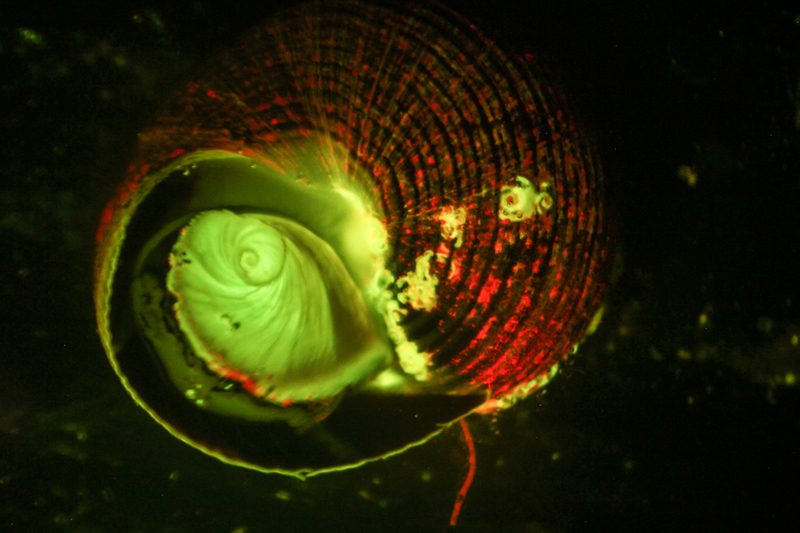 Expand stereomicroscope fluorescence from your research lab to your classroom. Installs in seconds – magnetic filter just clicks into place. Interchangeable excitation/emission combinations. 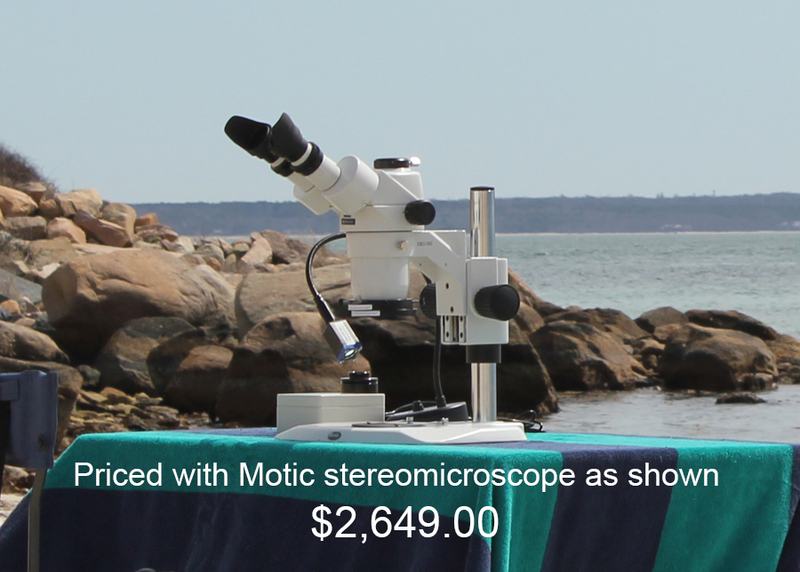 Move from stereomicroscope to stereomicroscope or purchase multiple units. 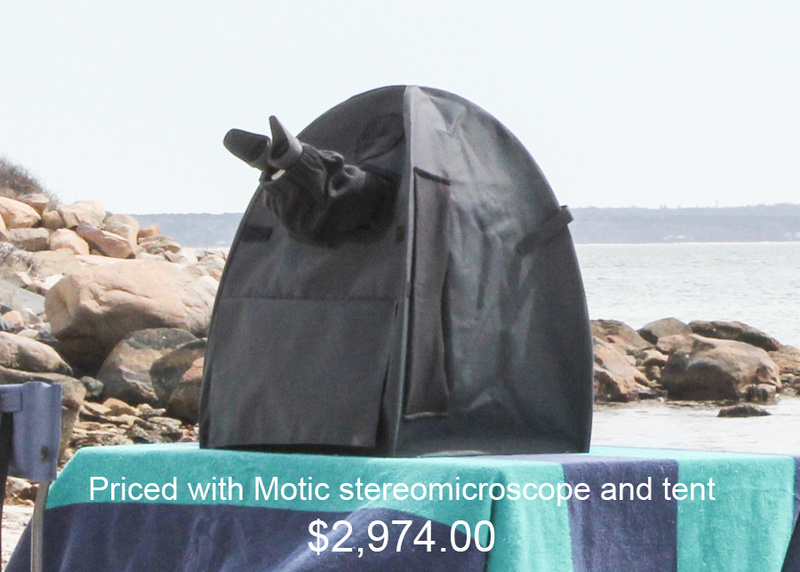 No modification to your stereomicroscope needed. 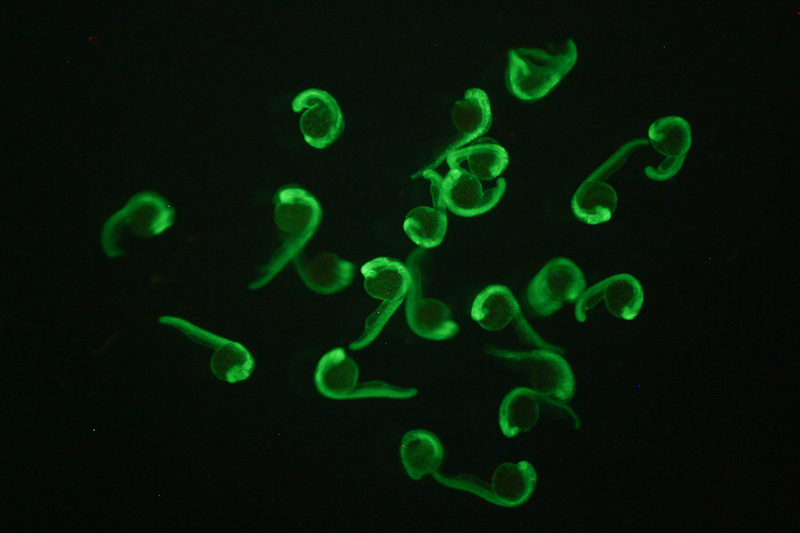 Low cost, affordable, inexpensive epi-fluorescence for any stereomicroscope. Stretch your lab budget. Economical enough for classroom use. 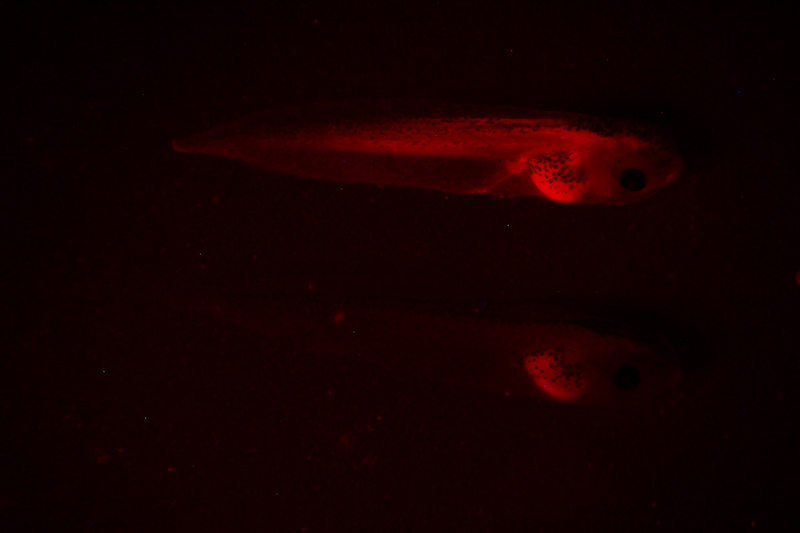 Adds significant fluorescence capability to your as your lab as it grows. Royal Blue, with longpass barrier filter, Multiwavelenght Light. Excitation, 400-460nm, Emission – 500nm longpass filter. 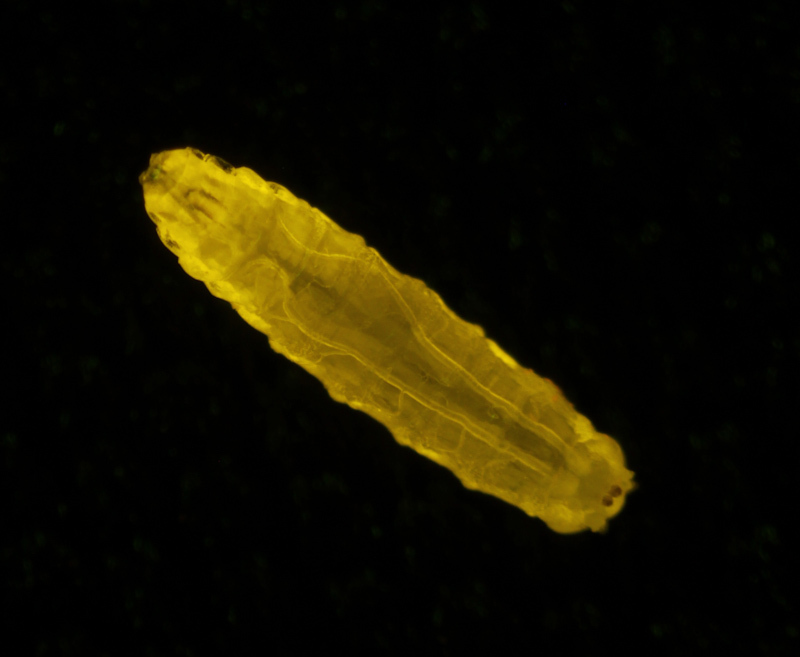 Works with GFP, eGFP, FITC, calcein, and lucifer yellow. Royal Blue, with bandpass barrier filter, ONLY emits Green Light. Excitation – 400-460nm, Emission – 500nm-560nm bandpass filter. Works with GFP, eGFP, FITC, calcein, and lucifer yellow. Green, Excitation – 510-540nm, Emission – 600nm longpass filter. Works with DsRed, TdTomato, RFP and others. Cyan, Excitation – 490-515nm, Emission – 550nm longpass filter. Works with YFP, Venus and others. Violet, Excitation – 400-415nm, Emission – 460nm longpass filter. Works with CFP and others. Ultraviolet, Excitation – 360-380nm, Emission – 415nm longpass filter. Works with DAPI, Hoechst and others. 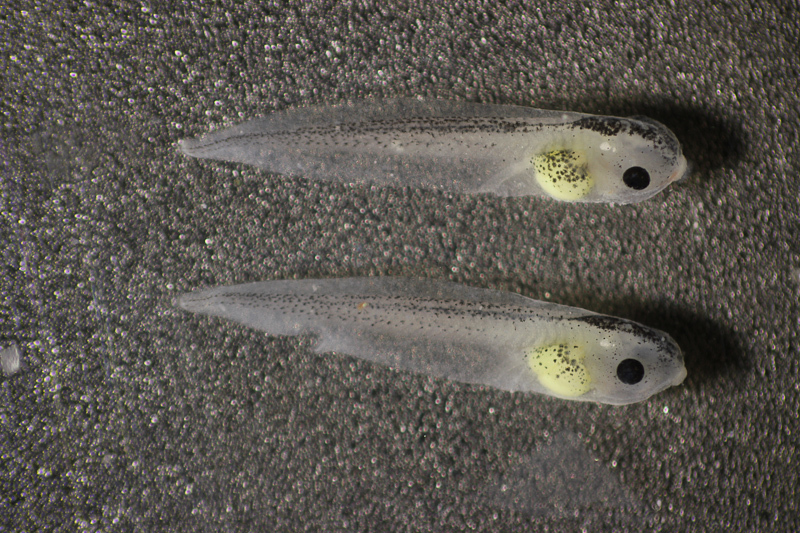 This light is especially useful for sorting tricky phenotypes. 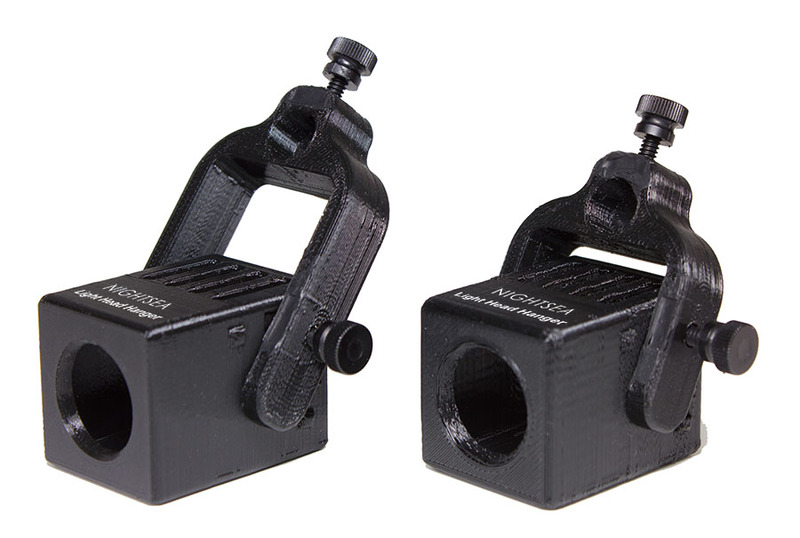 The light head, barrier filter, and filter shield are interchangeable so that you can easily switch between excitation/emission light+filter combinations. 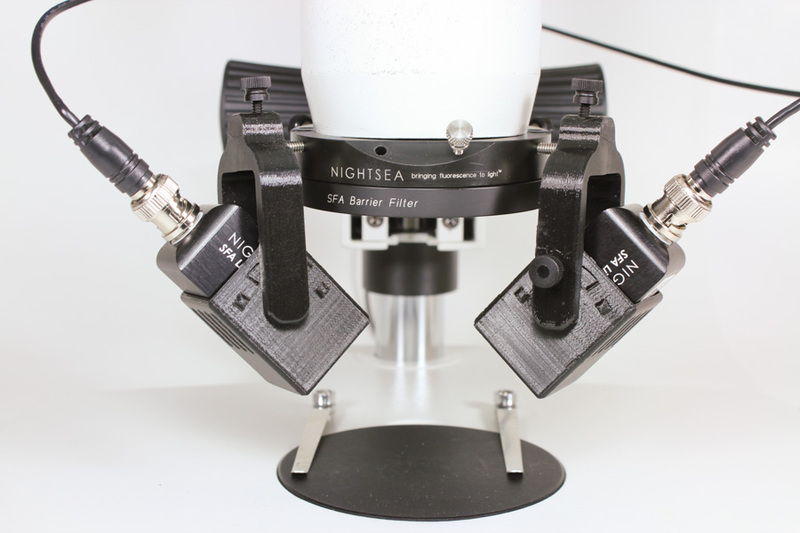 The filter mounting adapter fits up to 67mm to work with the majority of stereomicroscopes. 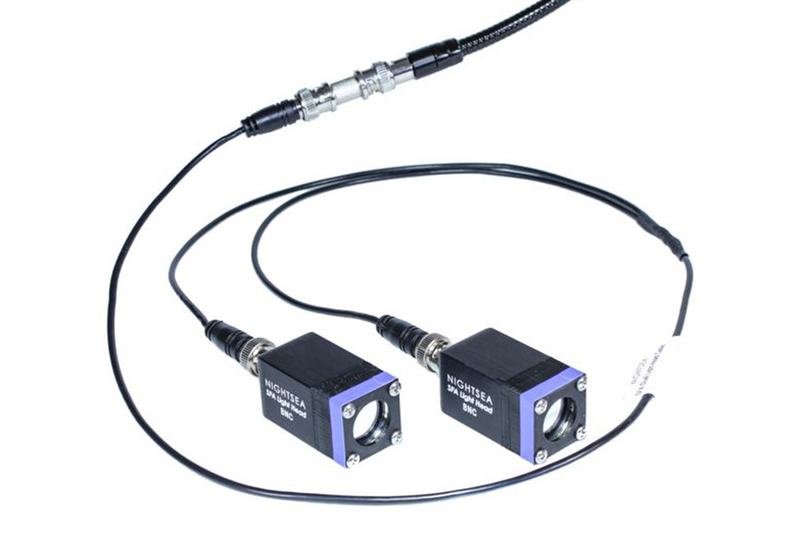 Once you are set up for one excitation/emission wavelength combination, additional low-cost combinations can be added by purchasing a kit that consists of a light head, barrier filter, and viewing shield. These three elements can be removed and replaced in seconds, and color coding ensures that you are using the right combination. The barrier filter clicks on to the ring filter mounting adapter. adapter magnetically, so it is easy to remove it to switch back to white light viewing. Every fly lab needs one of these! 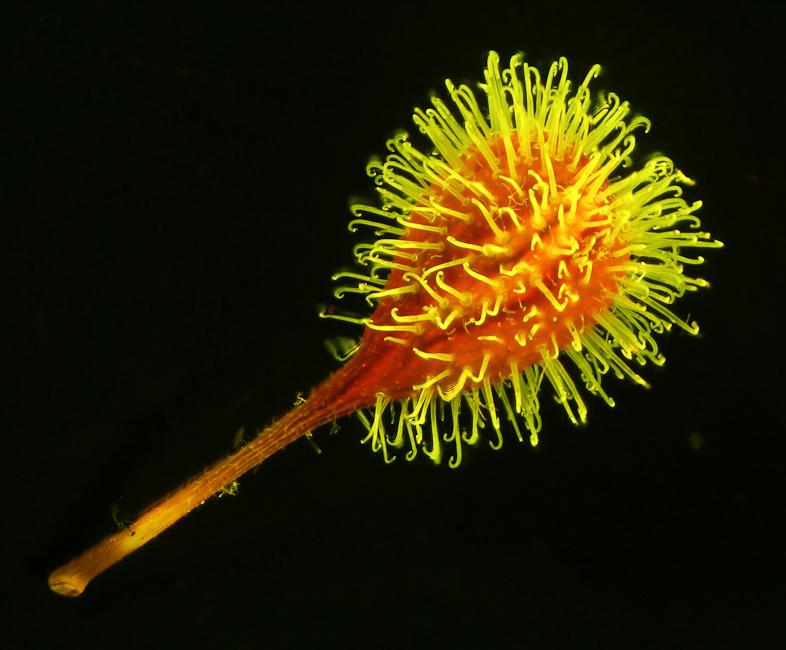 The product is very simple to use and fits most dissecting microscopes. The materials are quality made and simple to assemble. There are ways to make something similar yourself, but this product takes out all the guesswork and works out of the box. 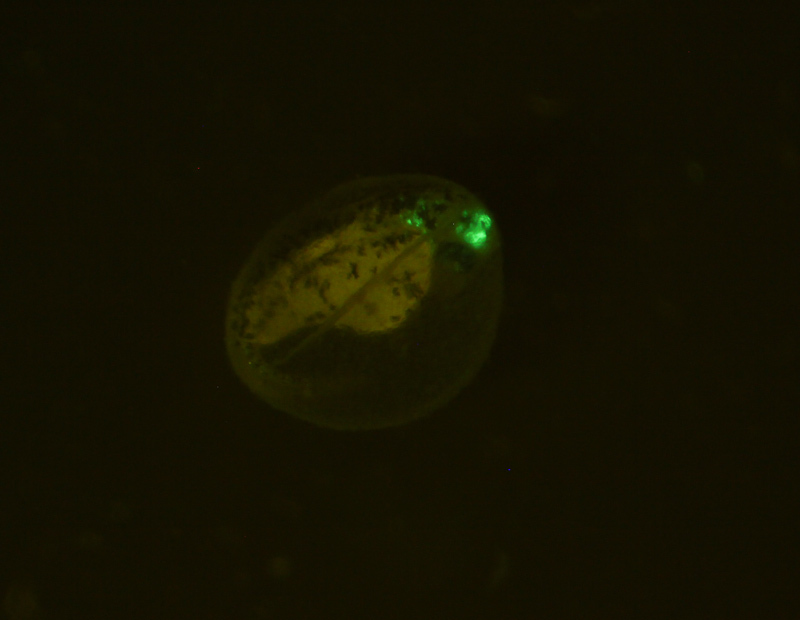 It’s a great solution for teaching and research applications in with bright GFP or RFP reporters. Meyer Instruments, Inc. is an authorized dealer-reseller for all NIGHTSEA products. Call 281-579-0342 for a quotation. It’s less expensive than you think!